Behold, The Holy Land Experience! “Themed costuming, shops, craftsmen, dramatic enactments and music, even themed landscaping and food and beverages throughout the facility take guests out of the 21st century and transport them on a memorable journey that is unequalled anywhere in the world,” explained Bill Coan, whose firm, ITEC, was responsible for the design and production of The Holy Land Experience. Can a Wilderness Tabernacle be adjacent to an interstate highway? To avoid any possible distraction, you should probably visit Calvary’s Garden Tomb when the wind isn’t wafting over from Dromedary Depot. I would avoid the Jaffa Hot Dog in favor of the Bedouin Beef. 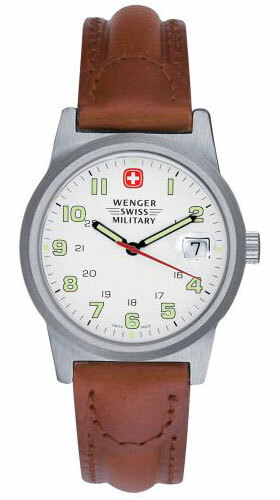 I managed to leave my Wenger Swiss Military Field watch in my pants pocket when I did the laundry last night. It didn’t make it through the washer and dryer alive. I loved that watch. It had a rugged simplicity that I saw as an analogue of my own. Now that it appears to have had mere simplicity, I’m having to consider that I, too, might just be simple. Perhaps I was expecting too much of the watch. With it’s military origins, I had assumed that it would be capable of withstanding tough military conditions, but then it occurred to me: how rugged does a watch created for the Swiss Army really have to be? The Swiss Army doesn’t actually do anything. They just sit around being neutral. A Swiss Army watch probably needs to be able to withstand the rigors of vigorous café debates about the qualities of various chocolates. It could also be scraped against a stone counter top while filling out a Swiss bank account deposit slip, but that’s about the worst action it would see. Once again, I think I’ve been the victim of clever marketing. Damn the Swiss and their holey cheese! In 1988, Metropolis won a Fragrance Foundation Recognition Award, often referred to as “The FiFi” (no, I am not making this up), and it is still considered by many to be one of the best men’s fragrances ever produced. I loved that cologne. It was my cologne. Everyone who knew me associated the smell of Metropolis with me. It’s not that I reeked of the stuff, but people loved the smell of Metropolis and, by association, they loved me, too. But, today, if you were to go to an Estée Lauder counter and ask for Metropolis, the personal aesthetic consultants behind the counter would most likely stare at you blankly and offer to hose you down with either Lauder Pleasures for Men or the new Lauder Intuition for Men. I doubt that most of them have even heard of Metropolis. Why? Because Liza Minelli killed it years ago. Over a decade ago, Estée Lauder spent an obscene amount of money to advertise Metropolis with a series of ill-conceived television ads that (if memory serves) featured Liza Minelli in all her sequined glory, ballroom dancing with various anonymous, tuxedoed hunks as she intoned the wonders of Metropolis. It bombed…big time. It was one of the most disastrous advertising campaigns in history. Most experts look back and say that the problem was that they never made it clear that Metropolis was a men’s fragrance. I would contest that it wouldn’t have mattered if they did. Q. How many men are going to buy a cologne because Liza Minelli tells them that it’s fabulous? Let me rephrase that: How many straight men are going to buy a cologne because Liza Minelli tells them that it’s fabulous? Q. How many gay men are going to buy a cologne because Liza Minelli tells them that it’s fabulous? A. Blessed few…at least not in 1988. After all, we’re not talking about the 1972 Cabaret Liza here. 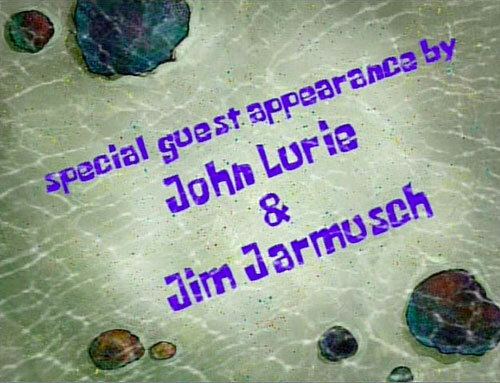 We’re talking about the 1988 Rent-A-Cop/Arthur 2: On The Rocks Liza. And this is well after Calvin Klein’s Obsession ads had fundamentally changed fragrance advertising. It’s hard to imagine what the folks at Estée Lauder could have been thinking? But, it doesn’t matter now. Metropolis is gone. It’s gone and I’ve searched the world for over a decade without finding anything to fill the void. 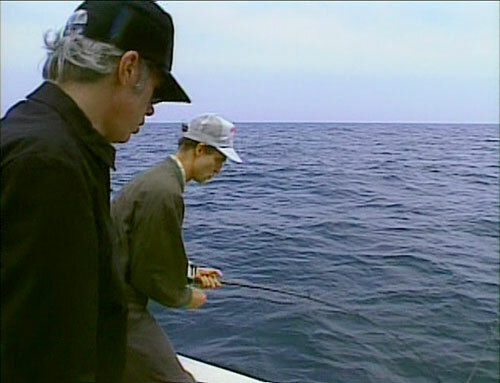 So, I was watching the latest SpongeBob DVD, Sea Stories , with my daughters and during an episode called “Hooky” there were a few live-action shots of some fishermen on a boat. I did a massive double-take and hit the pause button (much to the annoyance of the under-8 crowd).